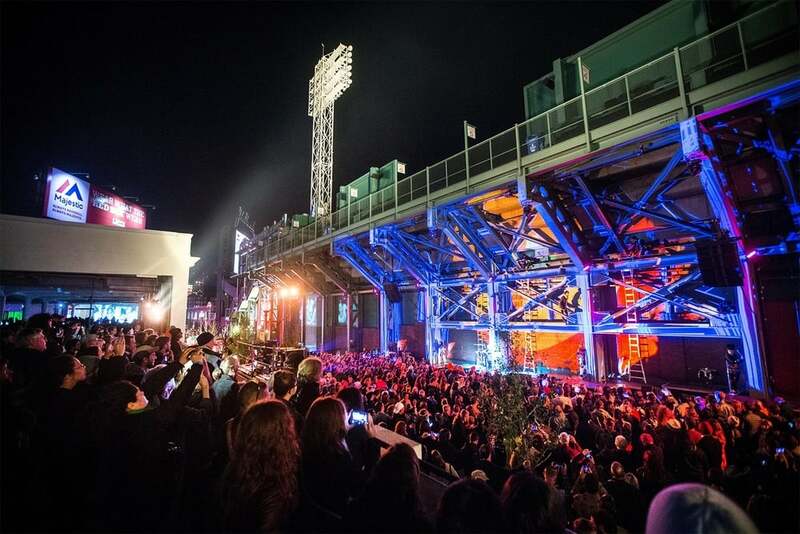 SAMO collaborated with sound artists Ryan Edwards and Maria Finkelmeier to transform a piece of rigged architecture into a personified monster and literal sonic / visual instrument for Boston's Illuminus on Lansdowne Street. SAMO worked with a 3D model to create site specific animations that were midi driven in real time by the percussion strikes of 8 performers. The visual story emulated the emotions and rhythm of each composition within the monster's arc to create a site specific activation of curiosity and mystery to the public eye. Linear A / V Site specific performance.